One of the most interesting elements of our recyclable pop culture landscape is the rate at which we've begun to parse through the same material. While in most cases that means raw repetition and a reliance on the jukebox musical, Marvel has been using it as means of time travel. They're taking their various properties and allowing them to be rebooted and retried in apparently endless perpetuity. We're slowly working towards correcting the insufferable Spider-Man 3, for example, but the mishandling of certain installments of The X-Men franchise present far more pressing reasons to turn back the clock. For the average fan, X-Men: The Last Stand was a disappointing travesty, but compared to 2009's stupidly titled X-Men Origins: Wolverine? It was a triumph. 2009's origin film was an embarrassing mess that seemed proof of 20th Century Fox's desperate need to give up the superhero film and hand the property rights over in full to Disney Corporate. With piss poor CG graphics, weak attempts to introduce new characters, a script filled with logical inconsistencies, and way too many shots of Hugh Jackman screaming at the sky; it seemed like the end for X-Men, the old class. For whatever reason, though, Marvel and Fox are invested in the idea of keeping Hugh Jackman in the Wolverine get-up no matter what, and after a brief, gruff cameo made a big impact in the largely successful X-Men First Class, someone put two and two together and wisely intuited that what we wanted was more sass, more anger, less moping. So, just a few years after X-Men Origins, the slate has been wiped clean. The time for origin stories has passed, we know the characters well enough and we want to see what happens after the films we love, not before. The Wolverine is a best case scenario in Marvel's recycling efforts. Everything wrong with the origin story has been corrected from the title on down: the character has been stabilized, the story takes priority, the graphics have been cared for, and Jackman actually gets a chance to pour that penchant for stone-faced struggle into something other than howling with his claws up. 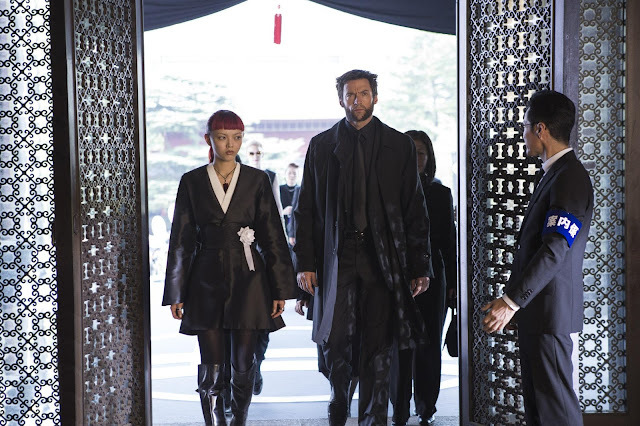 In what may easily qualify as one of the biggest surprises of 2013, The Wolverine's biggest victory is its win against audience exasperation: it's a good movie, a really good movie. When the lights came up, I went so far as to declare it the strongest entry in the X-Men series. Maybe my over-enthusiasm is the result of walking into the theater with my expectations flat-lined at zero, but I found myself hooked and legitimately enjoying what The Wolverine had to offer from the very early scenes. We're moving completely away from the landscape of Xavier's School and the ongoing battle for mutant civil rights. Where the X-Men on the whole are great largely because of the way they tackle the subject of what it means to be human, The Wolverine steps away from grand battles and moves momentarily on to a personal stage. Just as a step towards personal reconciling proved successful in Iron Man 3, Wolverine makes great strides when stripped of some of the persecution and rebellion aspects, and when we begin to explore aspects of Logan's militaristic sense of responsibility and duty. It has the self-possession of a standalone film, though trickles of past-history find there way in. We are reintroduced to Logan as a wild man in self-imposed exile. He's having a sort of existential crisis, blaming himself for the terrible things that have befallen people he has loved, and is visited nightly by the dream-ghost of Jean Grey (Famke Jansseen). 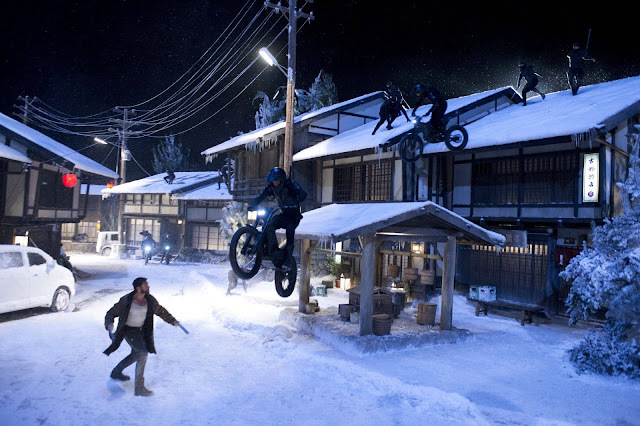 His wilderness funk is interrupted by the arrival of Yukio (Rila Fukushima), a confident young girl sent to bring him back with her to Japan. She 'works' for a man Logan once knew, a wholly human Japanese soldier named Yashida (Hal Yamanouchi) who Logan once saved in the dregs of WW2. Yashida has gone on to become one of the most powerful men in his country. He wants to say goodbye to his former savior, Logan has no scheduled conflicts. In Japan, our hero is forced quickly out of his comfort zone. Yashida makes him an offer that confounds him, but before he has the opportunity to appropriately respond, the film rushes quickly into human-scale action sequences. It turns out that Yashida's power has negatively impacted the life of his biological granddaughter, Mariko (Tao Okamoto), and she is being threatened by yakuza thugs. 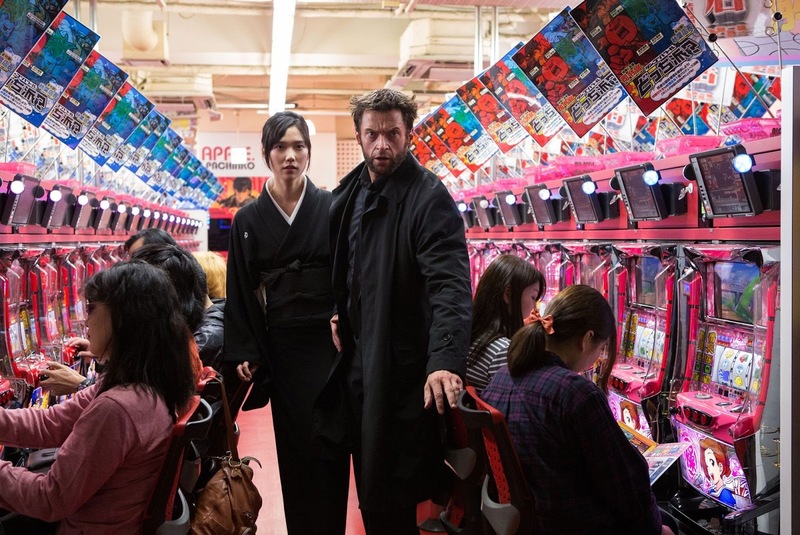 For most of the film, we're in a reasonable approximation of reality: wolverine vs. the Yakuza, Wolverine in an awesome train top battle, Wolverine standing guard at a love hotel, Wolverine bleeding. It's a weirdly elegant turn away from the repetitive formula of past X-Men films, and the result is refreshing, believable, and capable. Though things twist towards the over-the-top cartoonish in the final sequences (Viper is totes like Marvel's answer to Poison Ivy, yeah? ), it's all forgivable good fun. The Wolverine can do that, you see. It still has the playfulness of a Marvel venture, even as it darkens its tone and lets its hero work through serious issues. You leave wanting to see where the series goes next, believing in redemption, and convinced that someone at Marvel was absolutely brilliant in their stubborn refusal to ditch Hugh Jackman.